Right there you’ve got two-thirds of the holy food trinity (the other third is pizza, no contest). 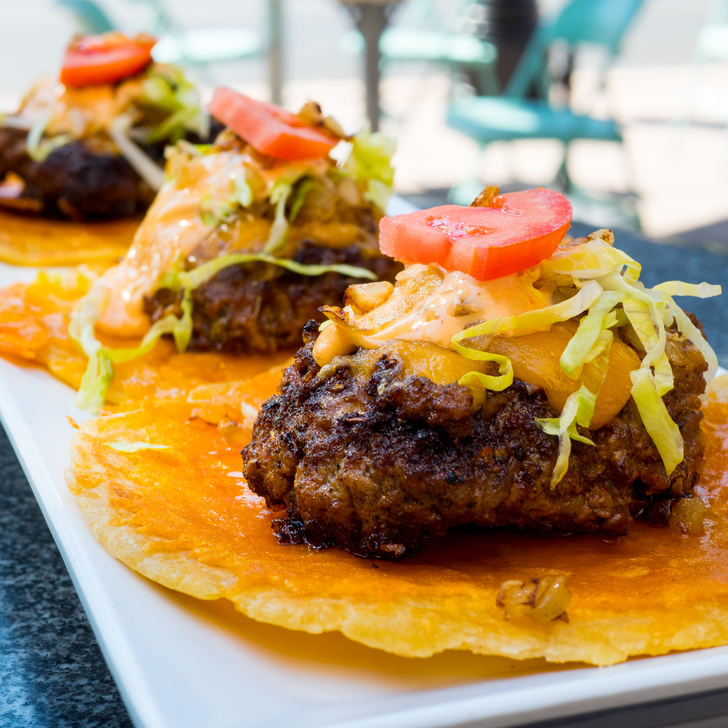 And right here and now, we are so pleased to share that cheeseburger and taco have officially been wedded in holy matrimony via placement on the menu of Anaheim’s Pour Vida Latin Flavor. The “Anaheim Style Cheeseburger Taco” comes from Pour Vida’s Chef Jimmy Martinez. It starts with kobe ground beef patties cooked with secret spices in a cast iron skillet, which are soon topped with shredded cheese and baked. Once the cheesy burger is ready, it is then paired with caramelized onions, shredded iceberg lettuce, house made Thousand Island dressing, and roma tomato, all in a house made tortilla with more shredded cheese. And while cheeseburgers and tacos are delicious, it wasn’t accidental that the favored fare were united at Pour Vida—burgers and tacos are practically ingrained in Californian culture, as CA has been diggin’ on their conveniency and uniquity since the 1950s. 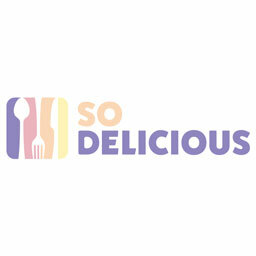 It’s especially relevant that the taco lives in Anaheim, illustrating the rich southern California blend of Latin, American, and regional cuisines and influence. 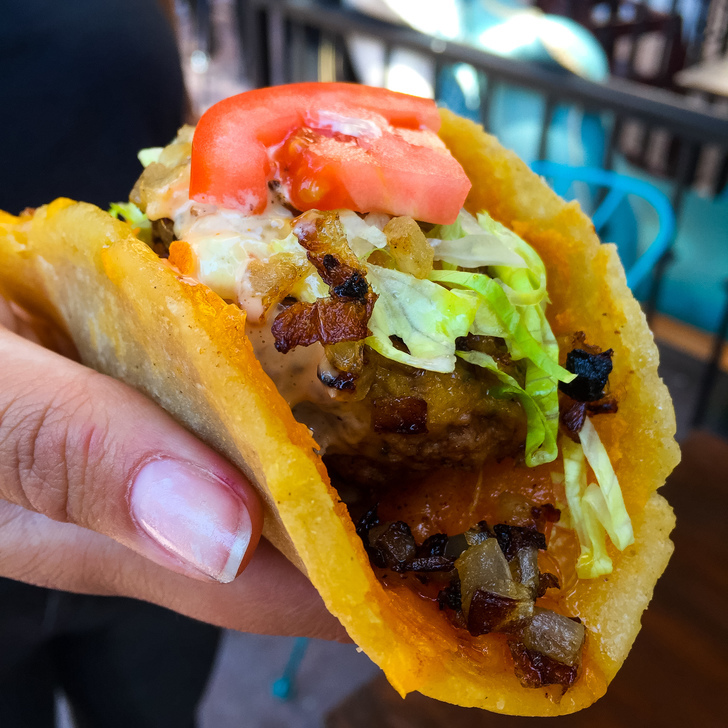 Basically, there’s only one place you should be going about your cheeseburger taco business, and that’s at Pour Vida in Anaheim, CA.